It turns out that while direct file is relatively common, some county prosecutors use it more often than others. In California, a new report shows that the filing of adult criminal charges against a minor is far more common in certain California counties and such cases disproportionately involve young people of ethnic descent, Public News Service reports. The research was conducted by three nonprofit organizations. "What this highlights is that it's not being used consistently by prosecutors," said Maureen Washburn, one of the report's co-authors and a policy analyst for the Center for Juvenile and Criminal Justice, "That it's being used kind of at the discretion of a prosecutor and doesn't align with rates of crime that are happening in that county." This November, California citizens will vote on the Public Safety and Rehabilitation Act of 2016. If the bill is passed, it will expand opportunities for good time credits and parole to adult prisoners, potentially shortening the length of inmate's sentence. Packaged in the bill is a clause that would essentially end the process of direct file for minors throughout the state. Katie Walsh is an attorney in Orange County, California. 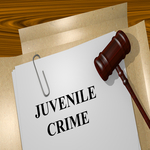 Attorney Walsh concentrates her law practice on juvenile defense, criminal defense, and victim’s rights. Contact the Law Offices of Katie Walsh online or at 714-619-9355.